If you’ve been following politics, you’d be under the assumption that the ALP is waging a generational war on retired Australians. Their Dividend Imputation policy—commonly referred to as franking credits—combined with winding back negative gearing seems to give evidence to this. Last month, I wrote how the 2019 election will be about “the vibe”, not the facts. Well, it didn’t take long. 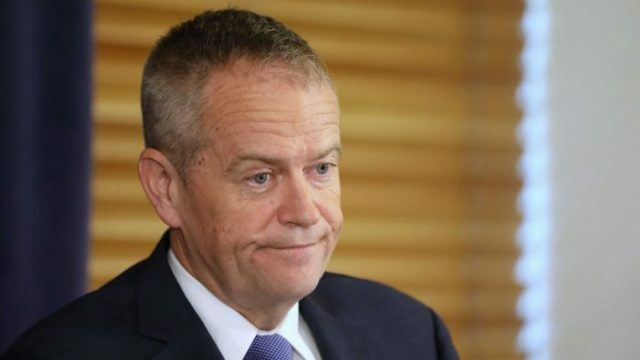 If you look at some of the headlines in recent days, you would be forgiven for thinking that the ALP is going to be sneaking into every pensioner’s bank account and ripping off their hard-earned savings. This has all pretty much been hyped up to assist the Government as this is their hard-pressed line. The Government has even trashed normal procedure by spending our money to have feedback sessions around the nation under the very important name of “Parliamentary hearing into plans to scrap refundable franking credits”. Now don’t get me wrong, I think Government should get more feedback on policy before they vote on it and should visit more areas of the nation to hear from people concerned. This is an ALP “election” policy, not a Government piece of legislation to be discussed. It is an abuse of process and, to be frank, a waste of taxpayer funds to be fraudulently campaigning against a “potential” policy when no election has been called. Just FYI, twelve of these meetings cost the Australian taxpayer a whopping $160k. I don’t know about you, but I take offence to having to pay for the government’s reelection campaign. It’s working too. Just recently listening to local regional radio there was a caller who was seriously upset. She was adamant that the ALP had to be stopped as they were going to “cripple pensioners”. The presenter then tried to tease more info out of her, asked if she didn’t mind telling us how much she would lose in “franking credits”. This poor dear had no idea what she was talking about. She went on to explain her husband died last year, she was now on a single pension (full) and struggling to pay the rent and expenses on her little house, worried that she would not be able to save enough money to get the grandkids Christmas gifts next year. I kid you not. Just seeing the headlines, listening to the nightly news and chatting with other friends—who were all also scared mind you—she just “knew” that Labor had to be stopped. This is reprehensible. No-one, particularly not the people who we supposedly trust to run our Government, should be scaring elderly Australians like this. Vast segments of media who are enabling this sensationalism can get in the bin. Before I go any further, taxation is confusing. I’ll leave that to the experts. So suffice to say, I’m not going to go into the ins and outs of this particular policy except to say, if you are on a full pension, you will not be harmed. The ALP already released a “Pensioner Guarantee” nearly a year ago. Even a timid ABC called the Morrison Government’s claims that “the plan would hit some of the lowest paid Australians” misleading. To be honest, not a lot the ALP has come out with has really impressed me too much, but this does. We have an ageing population, and contrary to popular belief, this brand of middle-class welfare was a recent invention, authored by Howard and Costello in 1997 as a vote-buying exercise. It is a system that is no longer sustainable. Especially when you consider that Newstart recipients and many others exist below the poverty line, not to mention the rising homelessness in this nation, particularly among older women. Regardless, there’s a lot of us who know not much, the Government knows this and are cynically exploiting that, almost like a pensioner version of “stop the boats”. The ALP needs to explain policy, and outline who in particular will be affected. Let’s also hope larger segments of the media also start reporting responsibly, not just “The Government said ”. Noely Neate is a blogger based on the Sunshine Coast, Queensland, asking questions and trying to make the world a tad fairer, one rant at a time. When not online she runs a regional community portal.